I have been looking for some flat sandals for summer. Since I wear a lot of heels, I need something comfortable for walking and a little more dressy than flip flops. These are my top picks. Review: I like the simple design and the tiny polka dots print; however, they are little too pricey for me at $195. Review: I think these are my favorite. They come in all colors - green, coral, neon yellow - however, I probably will get black. I like the snake print details on the strap and toe piece. Review: These are in a tie for my favorite. I like the studded detail. They also come in black and white; however, they are a little more pricey than #2.
Review: The gold detail on these adds to its dressy-ness. For casual wear, it might be a little too much, though. Review: These Zara sandals resemble the gladiator style. I like the mix of brown with animal print and the ankle straps. I think these would be great with a maxi dress, but for skinny jeans, the ankle straps might be in the way of the pant leg. 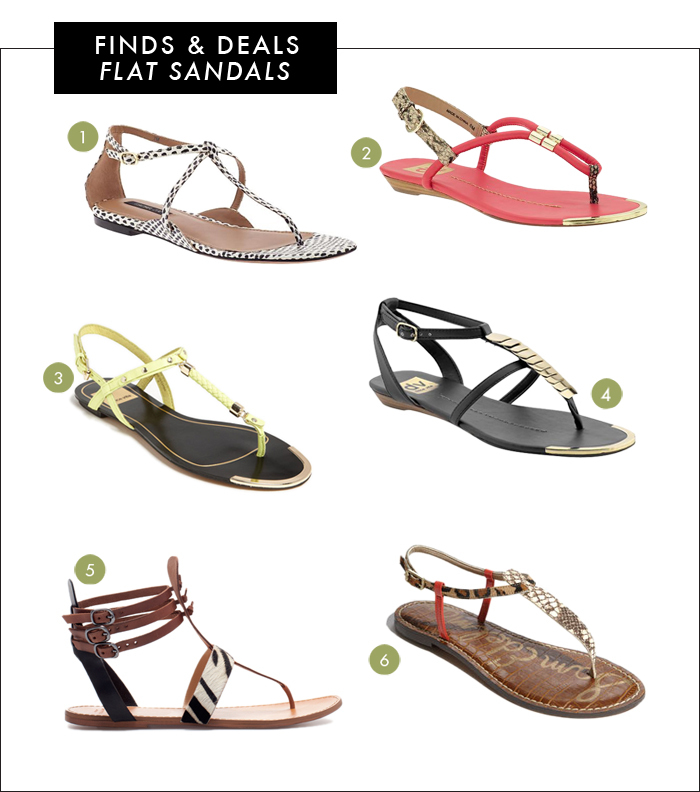 Review: I like Sam Edelman sandals. I have tried another pair and the footbed is really cushy. Although, for me, the sandals ran small. In these sandals, I like the mix of the snake and animal print with the solid pop of the red/coral color.